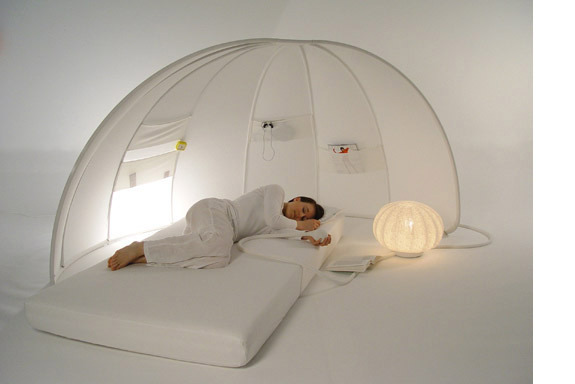 The 3 elements of “doze” products are designed to furnish the transition between awakeness(/vigil) and sleeping, when you are half conscious and have those special thoughts or inspirations and dreams on your mind, which are mostly forgotten, although they are very important. 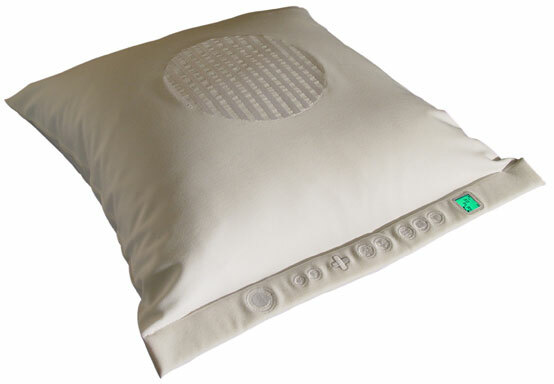 The “dream-recorder” is a pillow that records and stores your dreams, ideas and/or thoughts and keeps them from being forgotten. Just by listening to what you have recorded, the dream or idea becomes conscious again even after years. 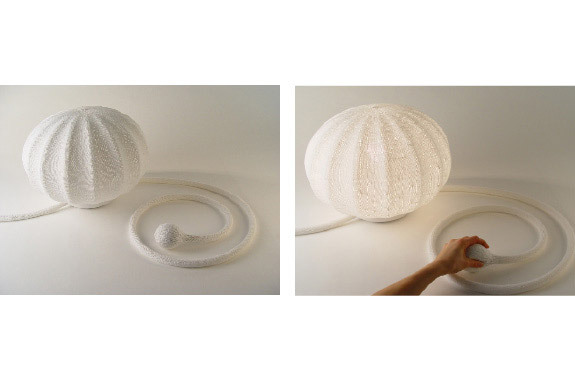 The “sleeping-lamp” falls asleep with its user. It is knitted out of wool and has its soft arm lying in your bed. When you feel tired (or wake up) you can push its hand and the lamp dims down (or up) within the time you desire. 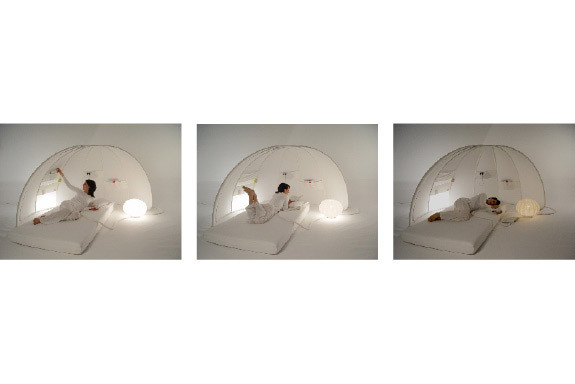 The “doze-cave” provides the room for the doze process and separates the sleeping place from other things around you so that you are not distracted from sleeping or bothered. 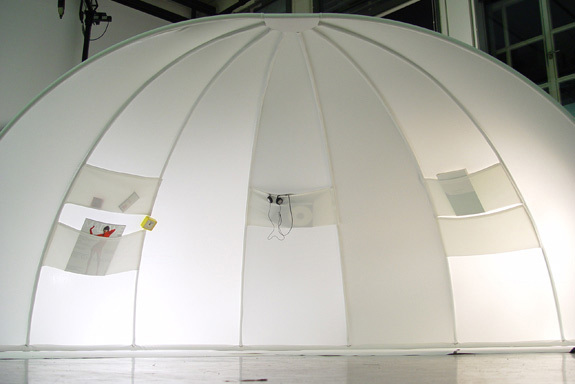 The bags can be velcro fastened to the walls of the doze-cave and will store individual stuff that comes in handy in bed. Doze-moments are very important for getting ideas, solving problems or learning about and develop oneself.